The Pitch: Haven’t I seen you somewhere before? The Review: Hollywood does many things well, and one it seems to do extremely well is to make a complete Horlicks of remaking successful foreign films, either losing the essence of what made them so special in the first place or adding in element that don’t work in context. There’s a spate of high profile instances going through the production cycle at present, and it’s two of the Scandinavian movies that have won widespread acclaim in the last couple of years that are currently getting the most attention. 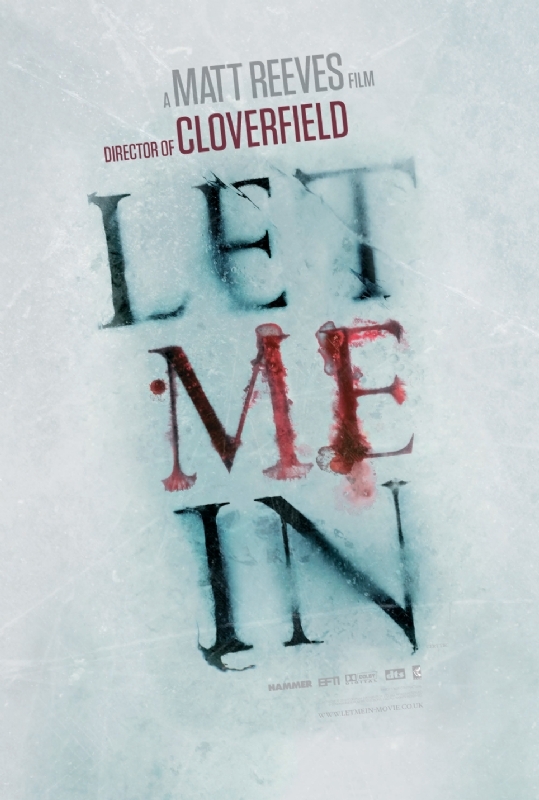 The first out of the box is Cloverfield director Matt Reeves with his re-imagining of the Swedish classic, Let The Right One In. First of all, re-imagining may be too strong a word for what Reeves has done. Claims that he’s returned to the source material prove unfounded and there is, in places, an almost slavish dedication to recapturing the look and feel of the predecessor, to the extent that you have to pinch yourself as a reminder that this is set in New Mexico, not Northern Europe. While Reeves has made a few attempts to distance himself from the original, at times this has the feel of a shot for shot remake in the style of Van Sant’s Psycho or Haneke’s English language Funny Games, and feels about as essential as either – in other words, not at all if you’ve any familiarity with the first film. So to those areas where the differences come in, and this is still a story about a young boy who’s isolated and ends up living next door to someone who gradually reveals their secret, except now they’re called Owen and Abby instead of Oscar and Eli. There’s one change, in the modus operandi of Abby’s guardian, which leads to a stunning set piece seen from a fixed viewpoint at the back of a car that equals and, whisper it, possible even betters anything in the original. Additionally, we never see Owen’s mother clearly, which serves to reinforce his sense of isolation. But apart from that, other than the casting, any other changes actually work against the overall feel, including some ill-advised CGI which serves to take you out of the scene rather than further into it. The casting, though, is about as impeccable as you could possibly hope for in such a situation. Chloe Moretz, while occasionally less androgynous in appearance than her Swedish counterpart, still nails the role of the creature years beyond her young appearance, while Kodi Smit-McPhee, Richard Jenkins and Elias Koteas round out an excellent central cast. Michael Giacchino’s score is also moodily effective and worth a mention. But other than that, this first film from the relaunched Hammer studios feels like the safest possible bet that they could have made. So let’s be clear – it’s a great film, but the original was outstanding, and is so recent that I bought it on Blu-ray as soon as it came out. Imagine having been given an orange flavoured, chocolate covered cake snack from a supermarket’s own range when you already own a packet of Jaffa Cakes – why would you not just eat the Jaffa Cakes? Why see it at the cinema: The car set piece deserves a view on the big screen, and this is absolutely dripping in atmosphere. It’s also a real thrill to see the Hammer logo on the big screen, and long may it remain. But if you’ve encountered the original, then move along, for there’s nothing to see here. This entry was posted in Reviews and tagged Chloe Moretz, horror, Kodi Smit-McPhee, Matt Reeves, pointless, remake, Richard Jenkins, Swedish, vampire.